Prince's estate will be subject to the current estate tax rate of 40%. This is in addition to another 16% that will go to the state of Minnesota. This means that a majority of Prince's estate will be going to the government. Prince was famous for distrusting legal and financial professionals. Because of this, before anything is sorted out, these tax payments will need to be made. In addition that, because he did not create a will, there will be a battle over who Prince's heirs actually are. Multiple news reports have come out about people coming forward saying that they are Prince's children. Each case will be subject to a paternity test. This will be in addition to family members who will have a stake in his fortune as well. If Prince had drawn up a will, a lot of this mess may have been avoided. Prince was not alone in his distrust of legal and financial professionals. Multiple deceased artists, from Tupac Shakur to Bob Marley, did not create a will for a variety of reasons from distrust to just thinking they were too young. The end results have been embattled estates where the majority of the money either went to the government or legal professionals in charge of advocating on their representatives' behalf. Their stories should provide sufficient evidence that it's important to have a will in place – no matter the size of your estate. Your family members and friends should be protected and not worried about who is entitled to what. Therefore, you should speak to estate attorneys who can provide information on estate planning and ways to reduce your overall tax bill. 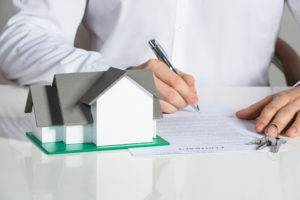 By avoiding mistakes by those who did not plan accordingly, you can make sure your estate is taken care of in the event that an unfortunate event does occur.